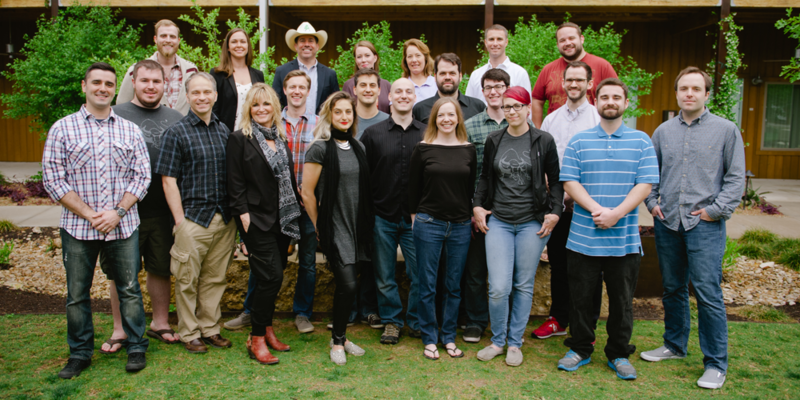 We just got back from Chargify’s annual company meetup in Austin. It. Was. Awesome! For those that don’t know, Chargify has been a distributed team since inception, and we are proud of our remote roots. With that said, it’s so important to get some face-to-face time with team members. Something magical happens after team meetups. Everyone is excited. You can feel the increased energy, camaraderie, and passion. 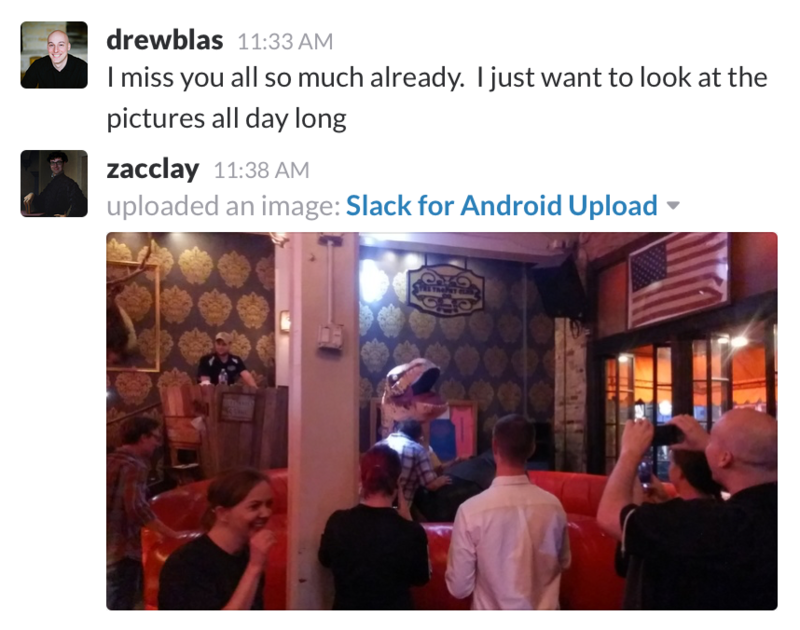 Not to mention great meetup-related slack jokes and memories that carry on for years. If you work in a traditional office setting, the idea of spending a week with coworkers probably doesn’t sound as enticing, but for our team, it’s something we look forward to all year! How often should you do an in-person, company meetup? This answer depends on how big your team is and financial resources available. The short answer is – at least once a year! Up until last year, we did a full company meetup every 6 months. When you have 10 (or even 20) team members, this is very doable and highly suggested. In Chargify’s case, the team has been growing faster than prior years, and last year, we decided to reduce the frequency to once a year. The main reason we reduced the frequency was simply because of the planning and preparation needed as we scaled towards 30 team members – it’s not easy. Smaller, satellite meetups are a great way to get teams together more often without all the logistics. 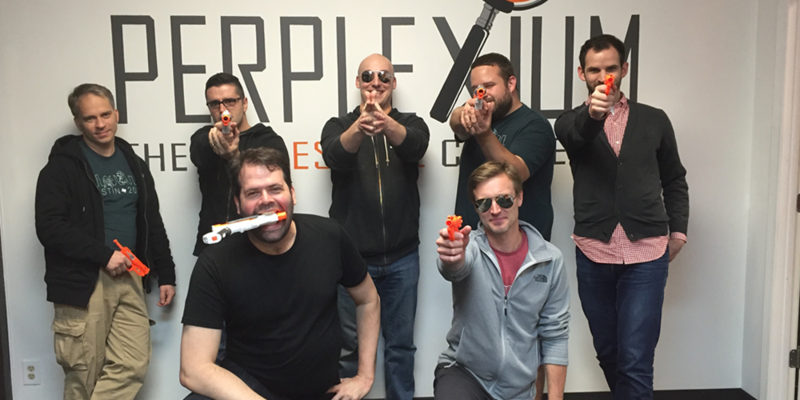 For example, our development team got together at at ElixirConf last year and will continue the tradition this year. This one may seem intuitive but it’s worth mentioning – put someone in charge and let them “own” the planning. Who on your team is very detail oriented and loves planning? If no one immediately stands out, I’ve noticed that team members in a supporting role (customer support or customer success) shine at this task, so start there. The “owner” will handle all the logistics from making sure everything is booked (house/hotels, flights, rental cars) to determining what activities are planned each night. Prior to the meetup, an agenda should be distributed to avoid confusion and keep everyone aligned. Special thanks to our own Elizabeth Tolin (pictured above) for doing an amazing job planning our 2016 meetup. 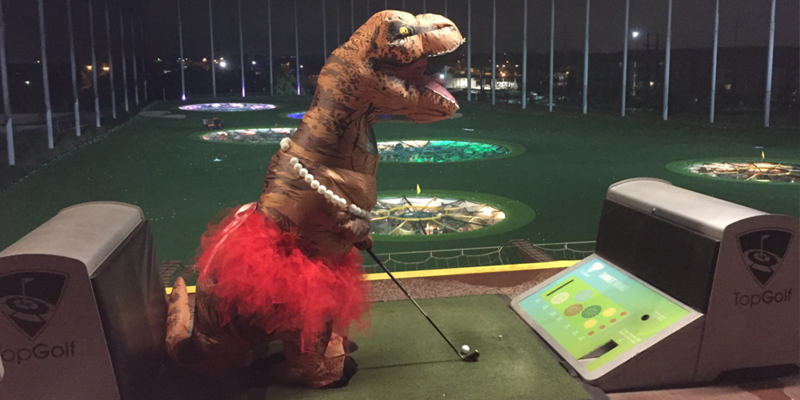 And yes, she is golfing wearing a t-rex costume – don’t judge. An important note for the planner: Take special dietary needs such as vegetarians or gluten allergies into account so everyone can eat together, whether it is catered or at a resturaunt. Airports: You’ll want to be in close proximity to a major airport that offers affordable flights with flexible arrival and departure times. Feel free to expand your reach a little bit. For example, one year we did our meetup in Vail, Colorado. Everyone flew into Denver and made the beautiful 2 hour drive to Vail together. Lodging: Sure, hotels are available in any city, but you want this meetup to be special. Larger, popular cities have better lodging options that stand out over an airport Holiday Inn. As the Chargify team grows, we tend to start our city search based on lodging and expand from there. Look for a cool hotel with meeting rooms for full team and breakout sessions, or find a sweet house on Airbnb or VRBO. Lodging opens up the house vs hotel debate, which really depends on your team’s size. Historically, we have tried to rent one or two big houses, but this has proven to be a challenge after crossing over 20 team members. 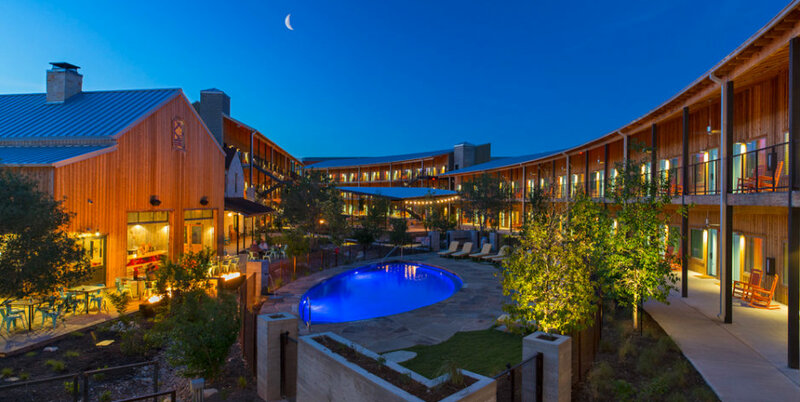 This year we stayed at the Lone Star Court in Austin, Texas. Personally, I prefer the social aspect of a house, but the right hotel/lodge can work well for larger teams. Walkability / close proximity: Our team has favored spots where we are close to the action (coffee shops, restaurants, night life) over seclusion. It’s nice to walk to a coffee shop in the morning or during a break to see a new city by foot. While everything won’t be walkable, close proximity lets team member easily get out (or come home early) via a cheap Uber ride. Nine months ago, the Chargify directors started the tradition of meeting up, in person, every quarter to review the previous quarter and plan the next. So it only made sense to plan the annual meetup around one of these quarterly, directors meetups. 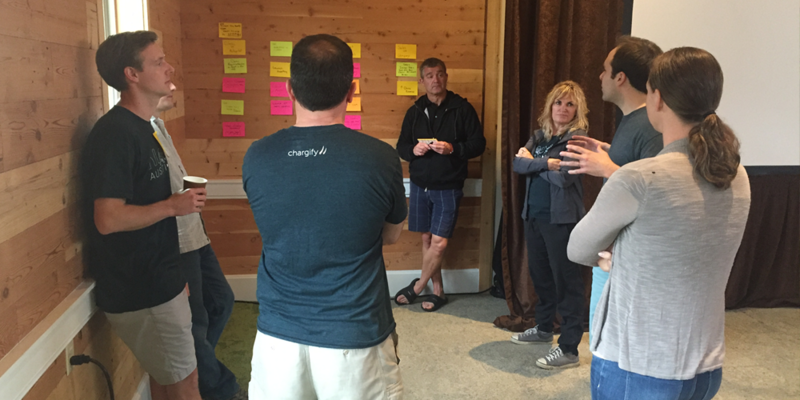 The directors flew in a day early for some uninterrupted reflection and planning before the whole team arrived. Even if you don’t have a similar, quarterly structure in place, use the team meetup as an opportunity for management to strategize and plan. You’re already spending the money to get everyone together so get the most out of it! To reiterate, “It’s not all about work!” There are 52 weeks in a year, so you can afford one week that isn’t entirely about work. While your first inclination may be to have a coffee and red bull infused hackathon for 48 hours, remember the purpose of the meetup is team building. More importantly, encourage cross-functional team building where support talks with marketing, developers interact with sales, and team members that don’t usually interact on a day-to-day basis get to connect. Try to manage a happy balance of company chats/presentations, team breakout sessions, and fun activities. On our last meetup, work stopped every day around 5pm for fun dinners followed by nighttime activities. We bowled, hit golf balls, escaped puzzle rooms, and even rode a mechanical bull. Kudos: I always feel bad for customer success team members, who typically disappear into quiet nooks and crannies to go through support tickets or take calls from customers. They are the one team that can not totally disconnect for a week. Props to the awesome Chargify customer success team that always puts the customer first, even during meetups. If you don’t already have shirts and stickers for team members, put that on your to-do list immediately (meetup or no meetup). The Chargify team loves and rocks their shirts on a regular basis, so the meetup is always a great opportunity to replace old, weathered shirts for new, crisp iterations. If you want to take it up a notch, create limited edition gear that isn’t available year round. 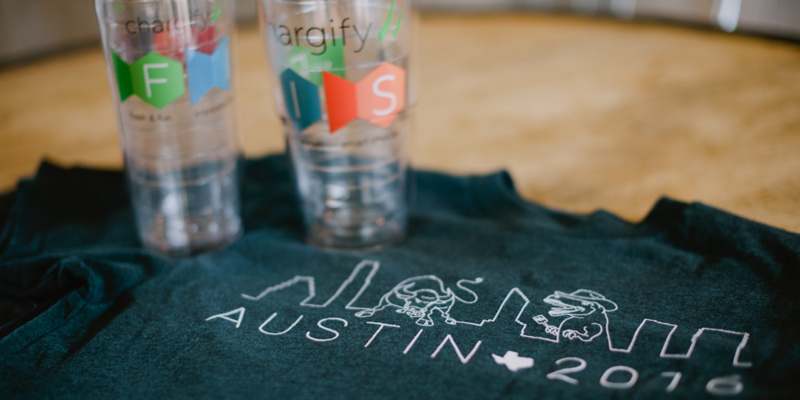 This year we made meetup specific “Austin 2016” shirts, and in the past we have done things like Chargify sweatshirts. It doesn’t always have to be wearable. This year we also did custom Tervis tumblers and water bottles with our core values printed on them. Not only will these be used on a daily basis, it reminds everyone what we stand for and why we do what we do – it was a big hit. 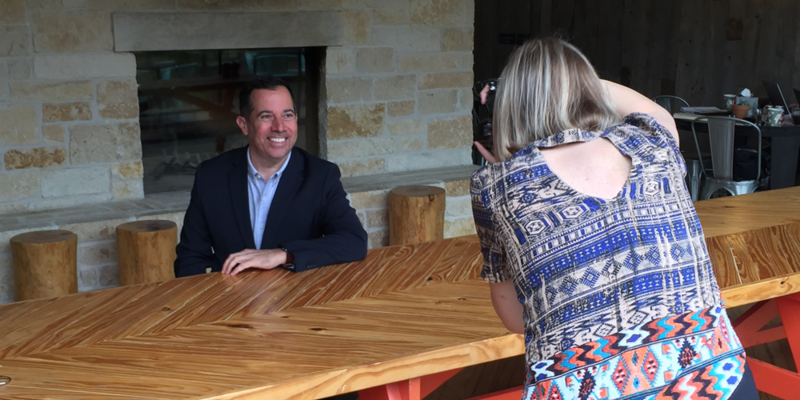 While everyone is together, it’s a great opportunity to get some professional headshots and team photos taken. A professional photographer is relatively inexpensive ($500-$1500) and will yield much better results than someone bringing their DSLR and playing photographer. Not only do high quality headshots help spruce up a “team” or “about us” page, team members will LOVE them. Consider it another perk of the job. As soon as our headshots were available, I started seeing team members updating all of their profile pics – Twitter, LinkedIn, Facebook, Slack, etc. around the web. I’d say it was a success. We also had the photographer take a few shots of just the background. That way, when new team members are added in between company meetups, our graphic designer can overlay their photo on to the same background to maintain a cohesive look on our “about us” page. Shout out to Kelly Rucker who did an awesome job photographing the Chargify team at this year’s meetup. If you ever do an Austin, TX meetup, give her a call! It’s a sad day when everyone packs up and heads home, but the memories don’t have to end. 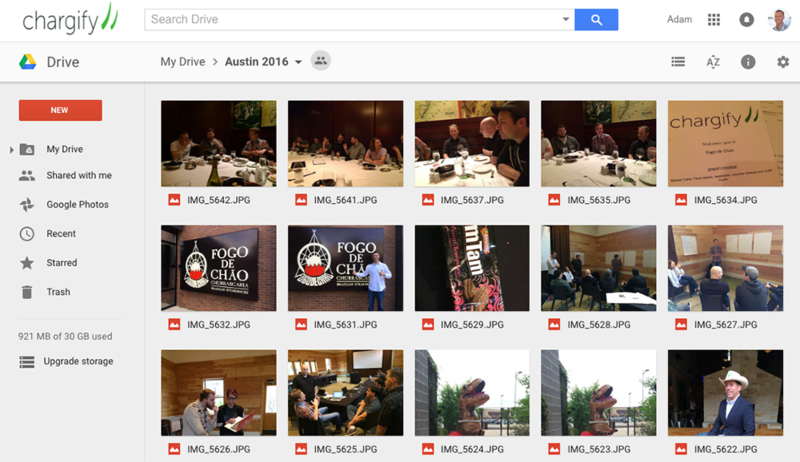 As soon as the trip wraps up, create a sharable folder (Dropbox, Google Drive, whatever) for everyone to dump their meetup photos. This way everyone’s photos are always available for years to come. Time to start planning the next meetup! Before you dive in, create a short survey for team members to complete within a week of the meetup, when their memory is fresh. The survey can be as simple as two questions: “What did you like about this meetup” and “What could be improved?” Feel free to get more granular. This is also a great opportunity for team members to suggest activities and locations for the next meetup. There are many benefits of remote teams, but lack of face-to-face time is not one of them. When you plan your company’s next team meetup, make every minute count! From our experience, bonding during team meetups makes working together afterwards much more fun and productive. I’d even argue that these meetups provide a positive ROI simply based on what they do for our company culture and team morale (it’s a win-win!). Hopefully the tips and tricks above help you succeed at planning your own meetups. Have any other great ideas? Add to our list by sharing your tips in the comments below.